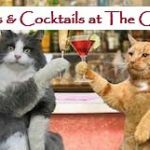 Meet the 2019 Kittens of APA at The Itty Bitty Kitty Party, Saturday, May 11 from 11 a.m. – 3 p.m. at the APA Shelter, 702 E. 11th Street, Jeffersonville, IN. 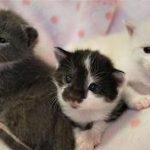 APA needs help gathering supplies and raising the funds to care for all of our kittens that we will care for throughout the summer and fall. Last year we adopted out nearly 200 kittens! Veterinary care alone costs us approximately $150 per kitten, not to mention food, litter, and supplies. 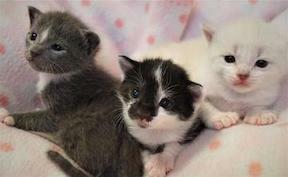 We only recoup $80 per kitten in adoption fees. Once you start doing the math, you can see that the costs associated with kitten season are extraordinary and we need your support! Learn more at the Itty Bitty Kitty Party Facebook page. All of APA’s medical and maintenance expenses for our furry friends are covered by proceeds from our thrift store, Purr-fect Treasures, donations and fundraisers. Please know that your monetary donations are always appreciated.